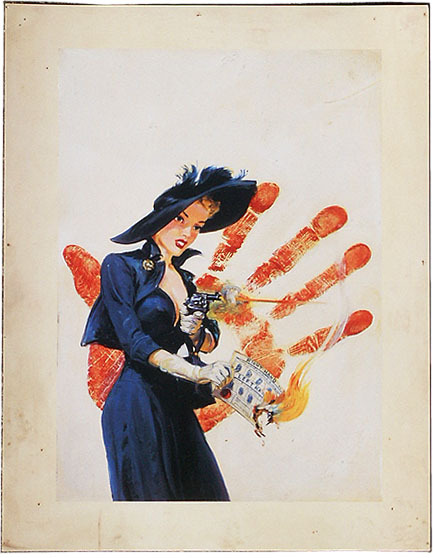 The original pulp art painting was reproduced on the cover of BLACK MASK, July 1949. This limited edition poster was designed to appeal to anyone who likes original pulp art painting, but can't find one to buy. This poster costs less than a copy of the original pulp magazine. 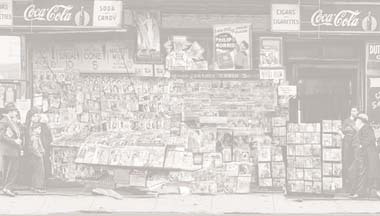 This is a fine art quality off-set lithographic print, which reproduces the original pulp painting by Norman Saunders. This poster even reproduces the border margins of the original illustration board, so it really looks like the original object. This image contains a hand-print of Norman Saunders, who applied bright red paint to his right hand, and then pressed it onto the illustration board. 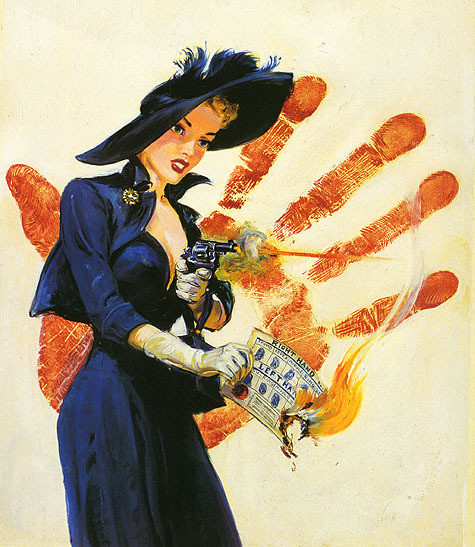 He then proceeded to paint the lovely hardboiled herione, who has confiscated an official police fingerprint file and is shown burning the evidence while firing a pistol at her assailants. Poster is printed on heavy clay-coated paper stock with a clear varnish finish in a limited edition. Poster is thirteen inches high and ten inches wide.